Sunbeamtech has announced three USB 3.0 products, these new models will start shipping by the end of the month. Have you ever wished that your USB interface could transfer data faster? 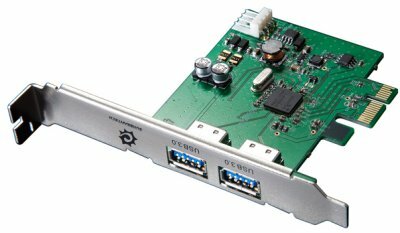 With a maximum transfer rate of 5Gbps, the USB3.0 Expansion Card was designed to add USB3.0 interface to your computer without your having to upgrade your motherboard. The plug-n-play ready, high speed USB3.0 HDDPAL provides the user with flexibility, portability and performance. 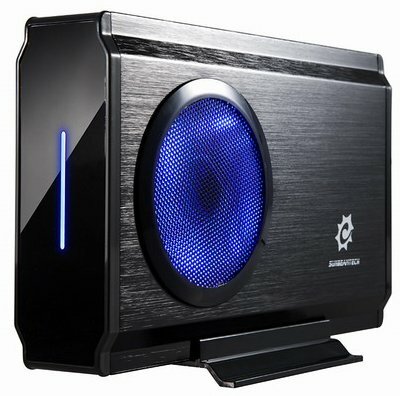 The unit supports both 2.5” and 3.5” SATA drives up to 2TB in size. The docking station is hot-swappable and comes with two high performance interface, USB3.0 with a maximum transfer rate of 5Gbps, so it can be moved from computer to computer with ease for all your backup needs. If data integrity is your game, then the HDDPAL Docking Station is the perfect solution for you. The “USB3.0 Airbox” 3.5” external enclosure is constructed with an all aluminum housing, and is combined with an 8cm LED fan that blows cool air directly onto the hard drive inside so that your hard drive is well protected from overheating and instability. Supporting up to 2TB in hard drive capacity, this tech-chic external enclosure comes with cool blue LED and a control button to turn ON and OFF the LED fan’s light to suit your mood. The USB3.0 interface allows for up to 5Gbps transfer rate. Where performance, stability, and aesthetics matter, the “Airbox” external enclosure is the best choice for you. Isn't it pathetic that Intel (the "innovators" that they are) can't equip their chipsets with USB 3.0. Good thing the rest of the world isn't waiting a year or two to copy other chip designs.